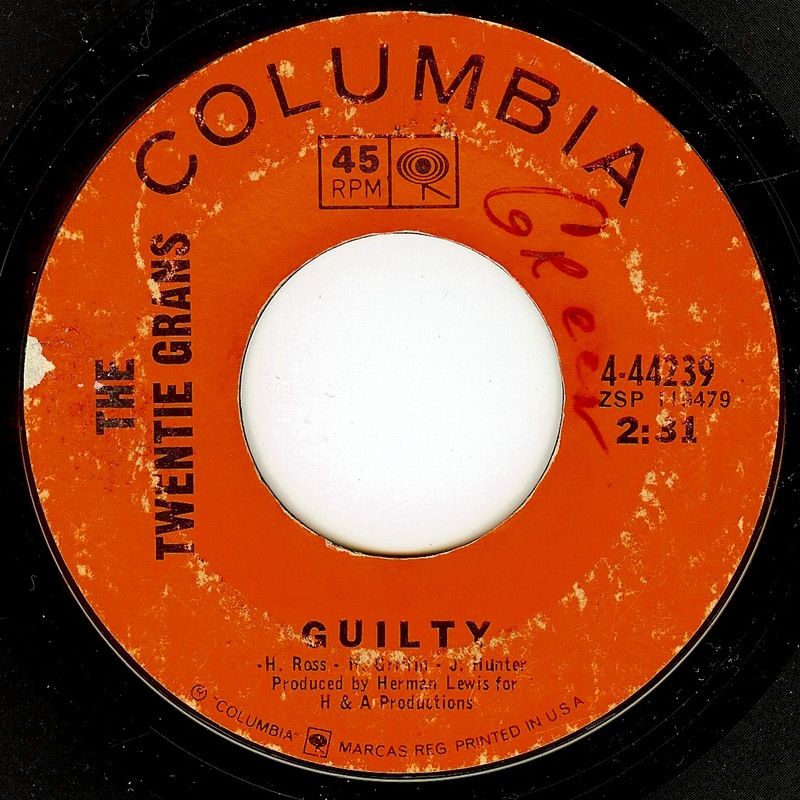 This Detroit record was originally released with the group name Players, but as another group from Chicago with the same name had just released a minor hit ("He'll Be Back"), the record was withdrawn and given a new group name. 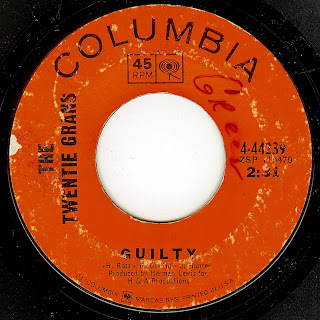 This seems to be the only release from the group, and "Guilty" is a majestic ballad an amazing, propulsive drum track; PURE Detroit soul. The flip side, "Giving Up Your Love" was co-written by Detroit soul legend Steve Mancha, and it's a catchy track with another superb production. Back in the day, the 20 Grand was the hottest club in Detroit.